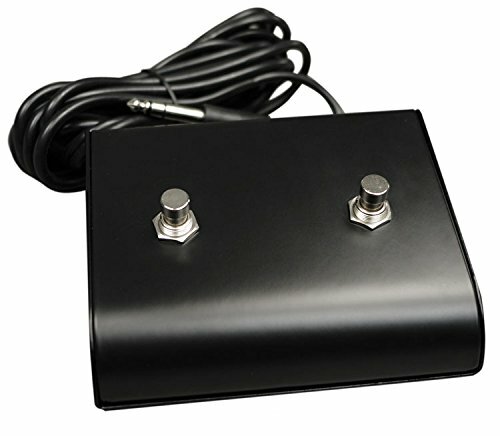 Marshall Style 2-Button Black Footswitch with 1/4" Plug.The footswitch can be used with other amps such as Orange, Fender, and Vox where a two latching switches are needed to engage or disengage a channel selector or other feature on an amplifier. View More In Footswitches & Controllers. If you have any questions about this product by Mojotone, contact us by completing and submitting the form below. If you are looking for a specif part number, please include it with your message.